8am W - Stroke Association Take on the new 55, 35 or 8-mile circuits that weave through our nations capital and south of the River Thames, perfect for serious athletes, those wanting to get or stay fit, or for a fun, family day out this autumn! 5pm W- London Designer Outlet On Monday 2nd October students can enjoy exclusive additional discounts - on top of outlet savings of up to 70% off RRP - at more than 30 of our outlet shops. It's a strictly-limited four-hour super saving opportunity from 5pm until 9pm, with up to an EXTRA 40% OFF on top of LDO's year-round savings. 12 artists create a contemporary take on their own visual experience through diversity in colour, shape and form. Entry to the exhibition is free. 10am E - Half Moon Young People's Theatre Our free family fun day returns for a third year with another exciting and inspiring programme of events for all ages. 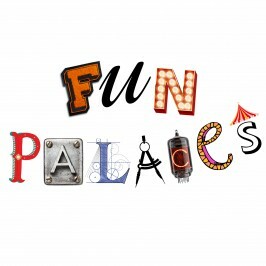 Fun Palaces is a free, nationwide celebration of arts and culture that shouts, sings, shimmies, stomps from the rooftops: arts and sciences, all culture, is a crucial part of human life, and they are truly glorious. All events are free. Refreshments are available to buy throughout the day. 9:30pm SW - Following the previous success of our Iglu Cruise Holiday shows, we are back in 2017 where they will be better than ever. We are hosting our second Iglu Cruise Holiday Show of 2017 at the renowned Epsom Downs Racecourse. The Special guest for the day and joining us will be well renowned TV presenter and journalist Nicholas Owen. Parallax Art Fair 2016 (London) from ParallaxAF on Vimeo. 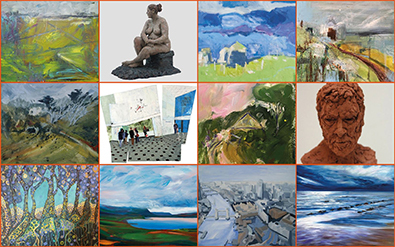 11am SW - Parallax Art Fair takes place at Chelsea Old Town Hall on the King's Road. It is the largest artist and designer fair in Europe.